About: Doctor of Oriental Medicine. Graduated from Southwest Acupuncture College, Santa Fe, NM. Name: Dawn R. Gifford, MAOM, LAc. 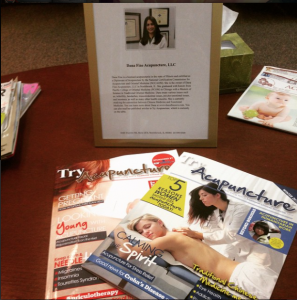 About: Welcome to Vibrant Health Acupuncture & Wellness Center! Acupuncture and Chinese Herbal Medicine are among the oldest and most effective pathways to natural healing. Whether you wish to relieve pain, treat a chronic condition, or decrease stress and improve your overall well-being, you've come to the right place. Based in Bel Air, MD, we specialize in affordable Traditional Chinese Medicine. 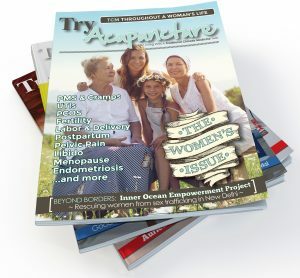 Vibrant Health Acupuncture & Wellness Center LLC will help you feel better every day. Strong families build strong communities! Contact us today! About: Youthful dragon offers a serene environment, to escape the fast pace of city life. Our spacious clinic rooms and meticulous style make youthful dragon the obvious choice for your personal treatment experience. Street Address: 337 Alcazar Ave.
About: DeJongh Acupuncture Clinic in Miami is a calming and boutique like clinic, where patients come to receive relaxed personalized care and optimal results. The office and treatment rooms are decorated in Feng Shui creating a balanced environment. All holistic treatments and techniques are based on Traditional Chinese Medicine, which treats the root cause of the problem instead of masking the symptoms. 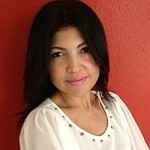 Ivelisse DeJongh, L.Ac., is the founder and acupuncture physician at DeJongh Acupuncture Clinic. She received her Masters Degree in Oriental Medicine from the Acupuncture and Massage College (AMC) in Miami, and has a Bachelor's Degree in Health Sciences and Psychology from the InterAmerican University of Puerto Rico. Dr. DeJongh has also received certification on extensive training in fertility, acupuncture and IVF support, pregnancy, cosmetic acupuncture, ELR (energy light rejuvenation), facial cupping and derma roller, as well as acupuncture injection therapy - specializing in cosmetic collagen and weight-loss meso-therapy. 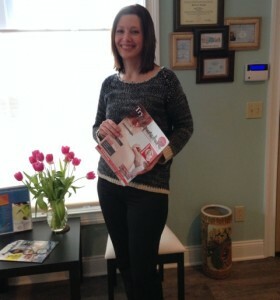 She has clinical experience treating fertility, menstrual disorders, anxiety, stress, emotional disorders, pain management, skin conditions, hair loss and more. This is truly a unique acupuncture clinic, catering to patients of all ages, which many are calling a “hidden gem." Call Ivelisse DeJongh today at (305) 677-3214 and experience what Complementary Alternative Medicine can do for you! Name: Dr. Tim Klemt, DACM, L.Ac. About: Dr. Klemt gives patient-centered care placing an emphasis on making accurate health assessments that result in the precise treatment of your condition. East Asian medical traditions are integrated with modern methods and research to encourage your innate healing potential and bring you to a more balanced state of health mentally, emotionally and physically. Dr. Klemt helps you to heal more quickly, to maintain vibrant health and to prevent injury and disease, thereby enhancing the way you perform so that you can achieve your personal and professional goals. He is a New York State Licensed Acupuncturist. He received his Doctorate of Acupuncture and Chinese Medicine from Pacific College of Oriental Medicine - San Diego and his Master of Science in Traditional Oriental Medicine from Pacific College of Oriental Medicine - New York. About: Whether you are interested in relieving pain or eliminating stress, anxiety or emotional issues, Inner Harmony Acupuncture will provide you individualized health care by focusing on treating the root cause of your disease, encouraging the body's inherent healing abilities, and seeking to restore energy and vitality. Each healing session is tailored to the patient needs, which means that two people who suffer from the same condition will receive different treatment protocols based on their unique expression of symptoms and way they are out of balance. You will be treated by a practitioner who is a keen listener to your body/mind/spirit and who will work to find the best treatment that best suits your condition. She will use her knowledge and intuition to provide you with support and guidance on your healing journey. 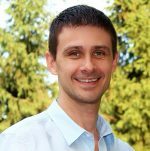 About: Robert Youngs is a state licensed and nationally board certified acupuncturist (NCCAOM) and is certified in Clean Needle Technique (CCAOM) and Cosmetic Facial Acupuncture. He specializes in Gynecology, Internal Medicine, Acupuncture and Herbology. 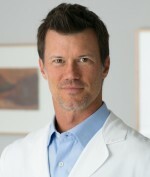 He is the owner of his private practice, Robert Youngs Acupuncture, with offices in Beverly Hills and Marina Del Rey, CA. About: TCM Wellness Project helps patients to understand what they can do to slow the process of aging and be healthy.